According to local building codes, your basement should have an egress. This is an exit point besides the doorway. Work with your contractor to follow the local building code for this and determine what kind of egress point you need. Fortunately, there are many types of egress windows to choose from. Moisture is your number one enemy when it comes to remodeling your basement. As a basement remodeling expert, JLR Exteriors Home Improvement recommends dealing with moisture issues before the project begins. Preventative measures can include using waterlock paint or sealing cracks with caulk. 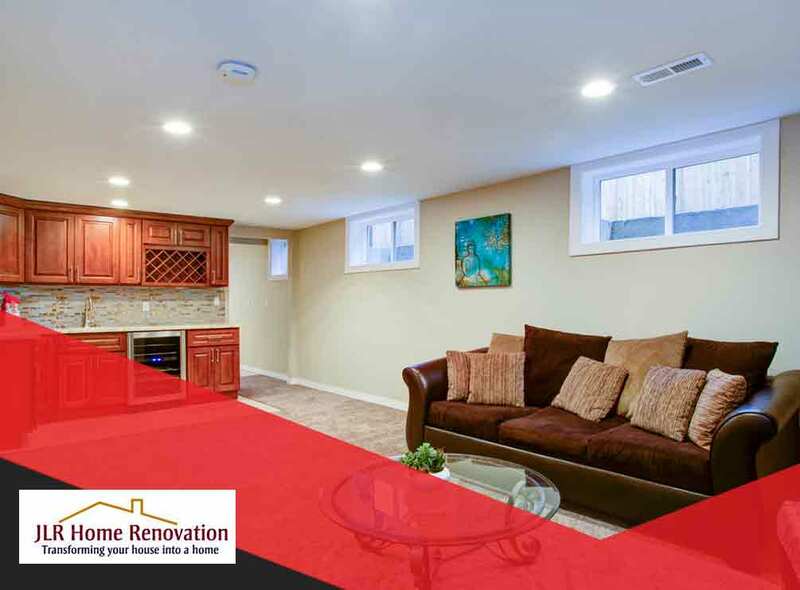 Your remodeled basement needs a bright lighting system to make it a warm, welcoming and relaxing space. Unfortunately, height restrictions can limit your lighting options, so talk to your basement remodeler early on to determine the best lighting options for your project. We can help with your basement, kitchen or bathroom remodeling project. JLR Exteriors Home Improvement has decades of experience, and we use only the best products from industry-leading manufacturers like ProVia, Wellborn Cabinets, Schluter and more. Call us at (717) 306-9555 to learn more about our products and services or to get a free estimate. We serve Elizabethtown, Hummelstown, and Hershey, PA.